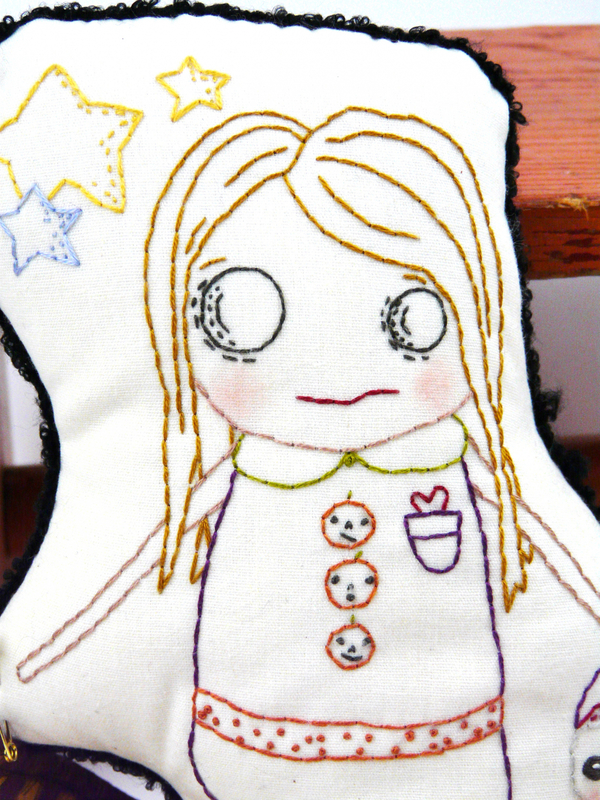 Stitch up the sweetest Zombie... perfect for your Halloween decor or for your kids to play with. 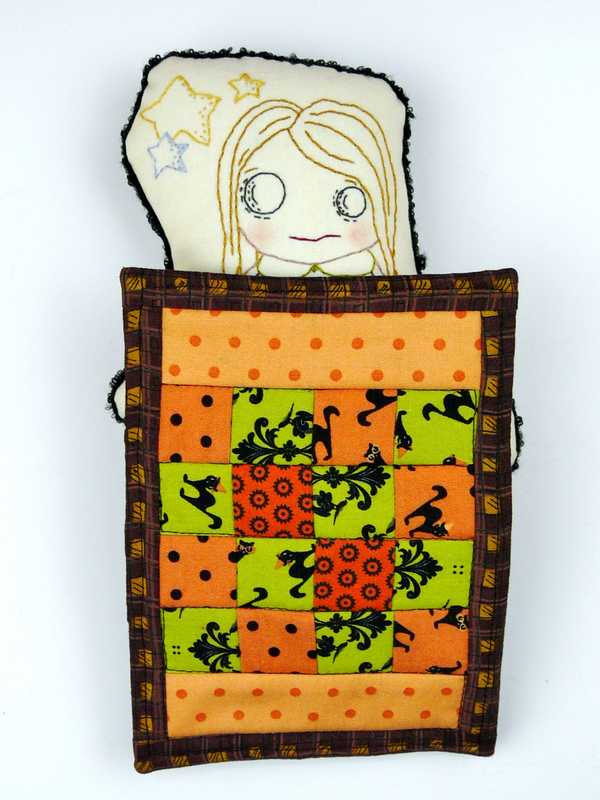 She is carrying her treat container and has her own mini quilt. 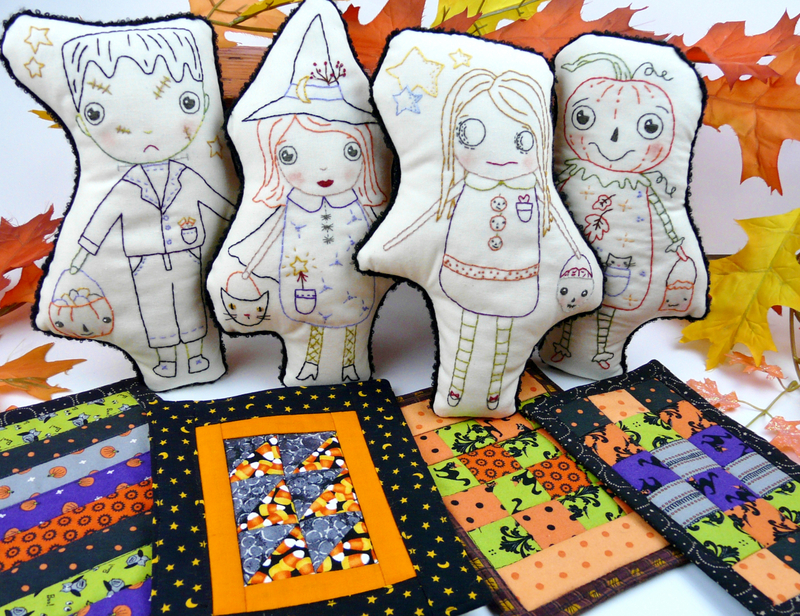 This is the 4th of a series of Halloween dolls... embroider up the whole collection! 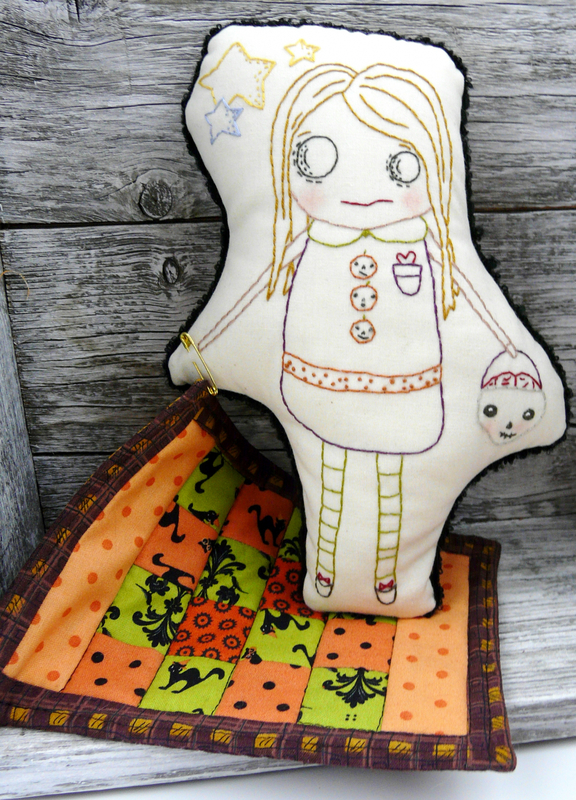 She has pumpkin buttons and a heart in her pocket. 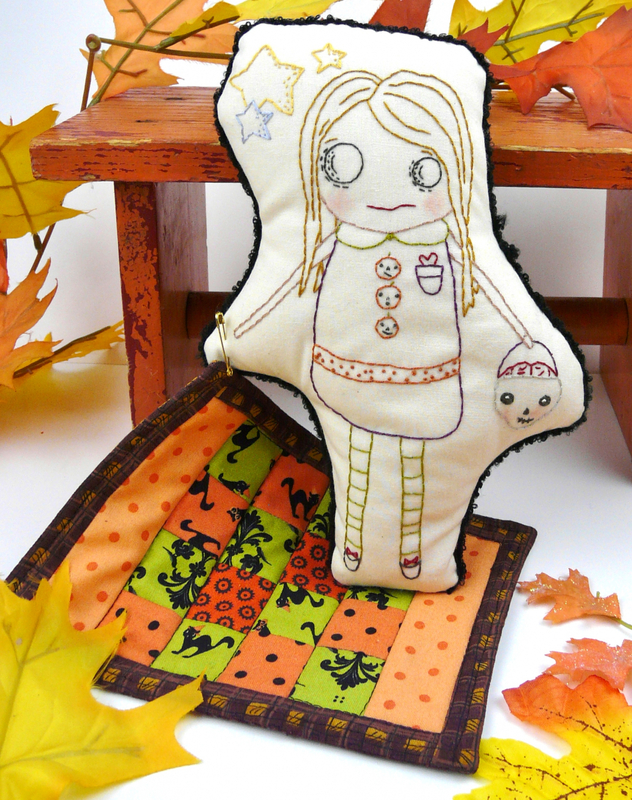 She is easy to make....and fast. 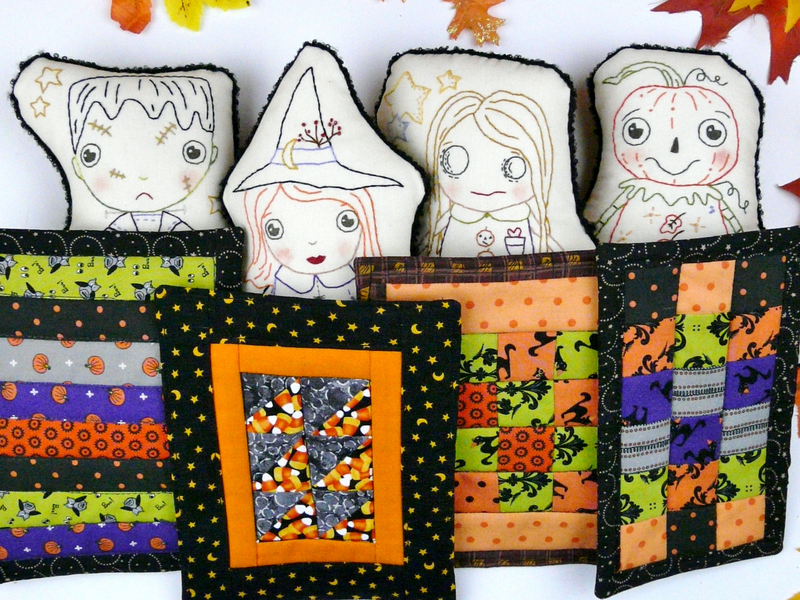 Finished Embroidery doll measures: 5 1/2" x 8"
Mini Quilt measures: 5" x 7"
There are 5 dolls in this halloween collection.